My grandfather (Sh. Ramesh C. Jain) and grandmother (Late Smt. Sri Devi Jain). I was born in a small town called Shikohabad in the northern part of India not too far from New Delhi, in a joint-family headed by my grandfather Sh. 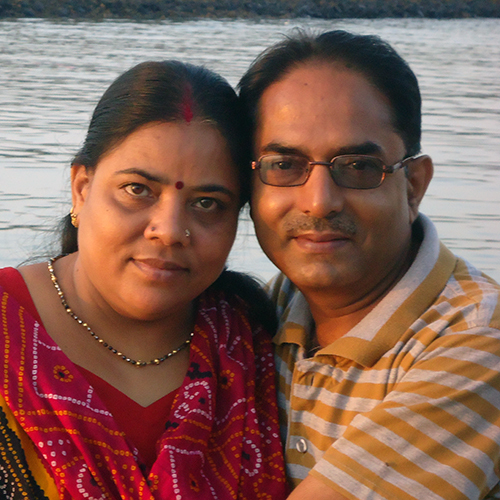 Ramesh C. Jain and his wife Late Smt. Sri Devi Jain. They had four sons and three daughters, and I was born in the summer of 1993 as the eldest of their eldest son. My grandfather established and owns a paper printing press in Shikohabad named "Adarsh Pustak Mandir", which has been the primary source of income for the joint-family since as far as I can remember. On the maternal side, my mother was the eldest of the three daughters and a son of my grandparents Sh. Ramesh Jain and Smt. Bimlesh Jain. She passed away in 2017. My mother (Smt. Neelam Jain) and father (Sh. Neeraj Jain). My father Sh. Neeraj Jain has been working for All India Radio (AIR), Govt. of India for over 25 years. Currently, he is serving in the capacity of Program Executive at Agra station of AIR. 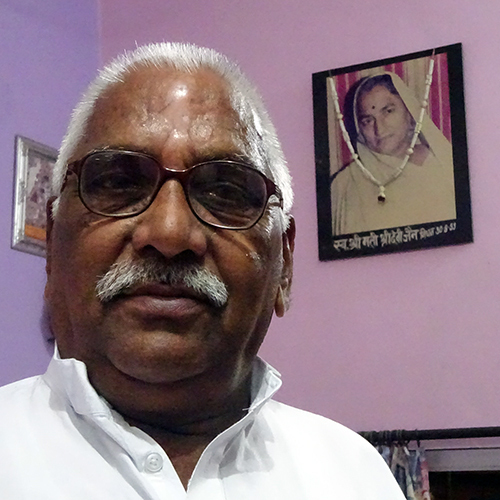 He is a Hindi literature enthusiast and maintains a mini library at our home. He is also a Hindi poet, which is rather strange given his highest educational qualification is M.Sc. in Physics (Ya, Physics is in my genes!). My mother Smt. Neelam Jain, on the other hand, had a double M.A. in Economics and Sociology. She spent most of her time taking care of the family as a housewife, though she also worked as a part time Casual Announcer at AIR Agra. Previously, she had worked as a primary school teacher in Mathura. She was diagnosed with gallbladder cancer in 2017 and passed away later that year at the age of 49. 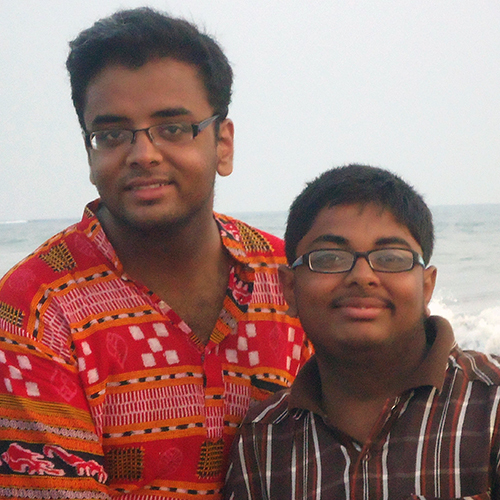 Me and my brother (Abhinav). My brother Abhinav Jain was born 4 years after me. When we were not at school or punching each-other, we spent most of our time together playing cricket on the terrace, playing computer or mobile games, chatting about superheroes or coming up with new ways to annoy our parents. 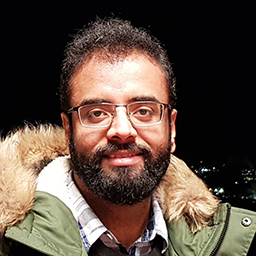 He finished an engineering bachelors degree in Food Technology at National Institute of Food Technology Entrepreneurship and Management (NIFTEM), India in 2018. Currently, he is working as a Process Engineer in Pune with a multinational food packaging company Tetra Pak. 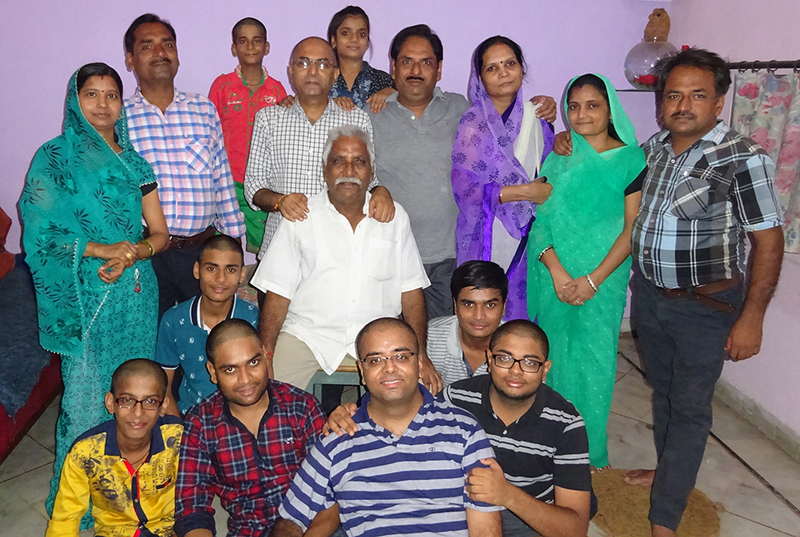 In India we like to keep our families close, which with four uncles, five aunts, their significant others, and seventeen cousins ranging from one year to twenty-two year younger, three sworn sisters, along with my parents, grandparents, and brother is a healthy ensemble. I spent majority of my childhood in the religious city of Mathura on the banks of river Yamuna. 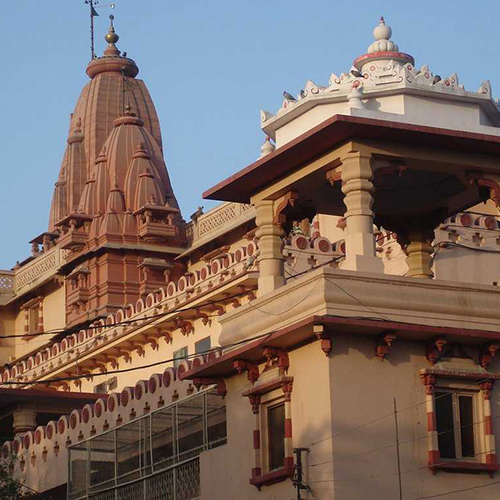 In Hindu mythology, Mathura is believed to be the birthplace of Lord Krishna, and hosts a majestic Krishna temple in the heart of the city. I like to boast that I lived 100 meters from the gates of the famous temple. Mathura and the nearby towns form the "Braj region" which has its own culture centred around the folklore of Lord Krishna. The region is home to a multitude of art forms, a regional dialect of Hindi called "Brajbhasha" and a famous sweet delicacy "peda". Holi (the festival of colors) is an important harvest festival in the region which has its roots in the Braj region and Lord Krishna folklore. As I entered teenage, we moved to Agra - another major city of historic and cultural importance on the banks of river Yamuna. As opposed to Mathura, Agra is dominated by Islamic culture and architecture having been the capital of the Mughal dynasty for over 100 years. 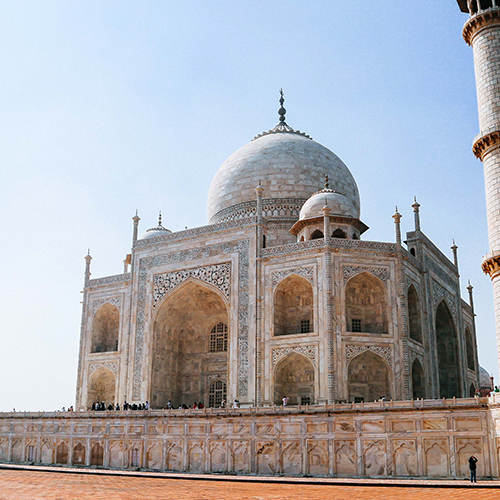 The world famous Taj Mahal is situated in Agra, which perhaps is the finest specimen of the Mughal architecture. Taj Mahal, along with its sister Mughal monuments in Agra: Agra Fort and Fatehpur Sikri, have been granted the status of world heritage sites by UNESCO. Although lesser known, Agra has also been mentioned in the ancient hindu epic Mahabharata under the name Agrevana. Currently, I have a family home in Agra around 8km from the Taj Mahal, where I lived for around five years before moving abroad. 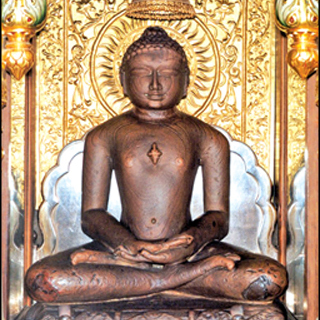 Lord Mahavir, twenty-forth tirthankar in Jainism. My surname "Jain" is a reference to the religion Jainism, followed in my family for generations. Though I am an atheist, Jainism did have a major contribution towards shaping me into the person I am. Jainism is a philosophical doctrine originated and mainly followed in India, based on three principle values: non-violence, non-absolutism and non-attachment. Jainism and its better known counterpart Buddhism, are the only surviving branches of the ancient ascetic religious movement in India called Sramana. The most notable trait of Jainism is vegetarianism, along with regular prayers, fasting and meditation. Jain temples are architecturally distinct from their Hindu counterparts, and mainly feature idols of the twenty-four "tirthankaras" (preachers of Jainism). Major festivals in Jainism are Mahavir Jayanti, Diwali and Paryushana. Although I do not confirm to the religious practices of Jainism, I associate to it as my cultural and ancestral roots, and try to adopt its values into my behavior and day to day life choices. My family on my father's side.